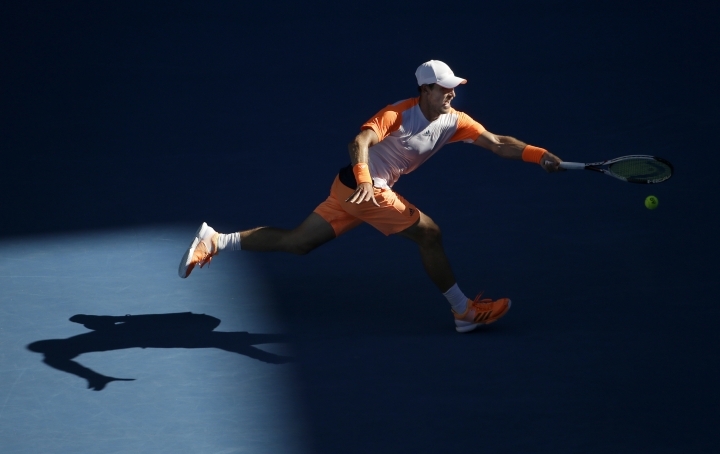 MELBOURNE, Australia — Mischa Zverev still remembers one of his earliest losses to Andy Murray, when the two were rising juniors, just 17 years old, and playing in the semifinals of the 2004 U.S. Open boys' tournament. Zverev tried playing a serve-and-volley game and lost. Murray went on to win the title. More than 12 years later, Zverev tried the same tactics against Murray on a far bigger stage — and this time it worked. 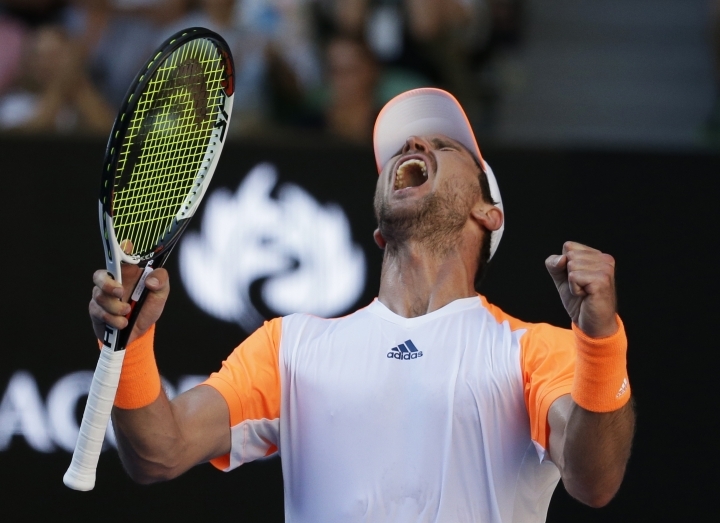 The German journeyman served, volleyed and sliced his way to a 7-5, 5-7, 6-2, 6-4 upset over No. 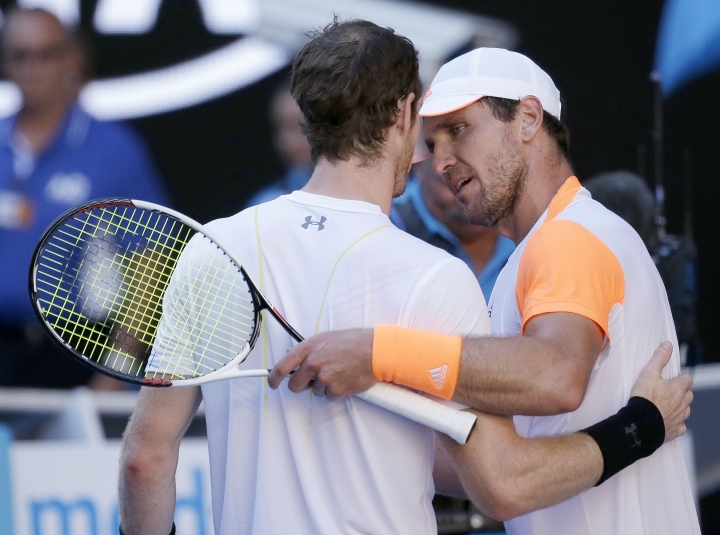 1-ranked Murray to reach the quarterfinals at the Australian Open. "I knew I could get to him with my game," Zverev said. "I knew I could slice a lot, come in, try to annoy him, which worked." 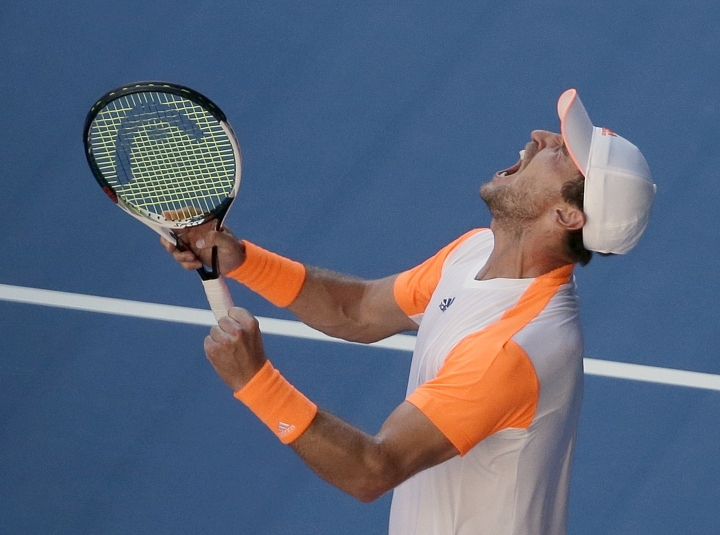 The win capped an improbable career comeback for Zverev, who has recently been known as the older brother of star-in-waiting Alexander Zverev and may now be finally starting to realize his own potential as a player — at the ripe old age of 29. Zverev had been a highly regarded junior player, but his professional career never really took off. He peaked at a high ranking of No. 48 in 2009, but injuries and a lack of dedication took a toll. After undergoing surgery to repair a fractured wrist in 2014, Zverev hit what he calls "the bottom." His ranking plummeted to No. 1067 and to stay engaged in the sport, he chaperoned teenage friends of his brother around south Texas to play in the bottom-rung of professional tournaments. "We went to really like small towns," he said. "No hospitality. You stay at hotels, eat at Subway." But his brother had faith he could play at a high level again. And Zverev began to miss the sport, too. And so when he was able to hold a racket again at the end of 2014, he devoted himself to his training like never before. Keeping up with Alexander, 10 years his junior, was a major motivation. Considered by many to be a future Grand Slam champion, Alexander began his rapid ascent just as Mischa was finding his feet again. It was around that time Alexander first beat Mischa in a practice set. "We didn't talk about it until dinner and he actually said 'Do you know what happened today?' and I was like 'no,' and he said, 'I beat you for the first time,'" Zverev said following his third-round win on Friday. "And that was it, nobody said anything else." Rather than get discouraged when his much younger brother surpassed him, however, Zverev found inspiration. After failing to qualify for 11 straight Grand Slams dating back to 2002, he finally broke the drought by making the main draw at last year's U.S. Open and finished the year strongly, reaching the quarterfinals of the Shanghai Masters and notching wins over U.S. Open champion Stan Wawrinka and Nick Kyrgios. "I always say, when I see (Alexander) beat those top guys, I start believing in myself because every time we practice, I can kind of compare my game with his level," Zverev said. "And if I feel like I can keep up with him, that means I can keep up with other guys, too." Zverev's high-risk serve-and-volley strategy doesn't always work, as his 6-1, 6-1 drubbing by Rafael Nadal at an Australian Open tune-up event shows. But he was undeterred heading into his match against Murray. "If he plays his best tennis, I mean, obviously, I don't think I have a lot of chances. Let's see if I can annoy him a little bit," Zverev predicted. "If I'm serving well and not missing any volleys, maybe I can do some damage."